We crossed into northern Malawi from Tanzania at the Kasumulu Border Post. We were on a six-month road trip from Cape Town to Nairobi and back, and this was our eighth African border crossing. It was our best yet: an all-time record of only 40 minutes, with no handing over fistfuls of US$ and a beaming Malawian customs official welcoming us to his country. After the chaos of Tanzania, we noticed at once how little traffic there is on the roads; in Malawi everybody is walking. And after filling up with fuel at the border town of Karonga, we realise why there are no vehicles. Petrol is very expensive here, presumably because Malawi has to import it all and there is no coastal access. Our first stop was the laid-back and rustic Chitimba Beach Campsite, at the northern end of Lake Malawi. Here we met our first overlanders: a truck full of gap year Brits, all glued to their screens rather than actually experiencing the country! Road tripping on the Nyika Plateau. Image credit: Mike Kendrick. Next we ventured up to Nyika National Park, a high, chilly plateau of Afro-montane grasslands, bizarrely resembling Scotland. Instead of red deer, there are herds of eland, zebra, reedbuck and beautiful roan antelope. The near freezing temperatures in July were a shock and we had to abandon the idea of camping. Instead we resorted to hiring a national park cottage for two nights; the log fire and hot bath clinched the deal. Nyika allegedly has one of the highest densities of leopards in Africa; although we saw fresh droppings on the roads, we failed to spot this elusive cat. However, we did manage to see two serval, which are apparently fairly frequently seen. Nyika is also home to various special montane birds and there was lots of excited ticking in the bird book. 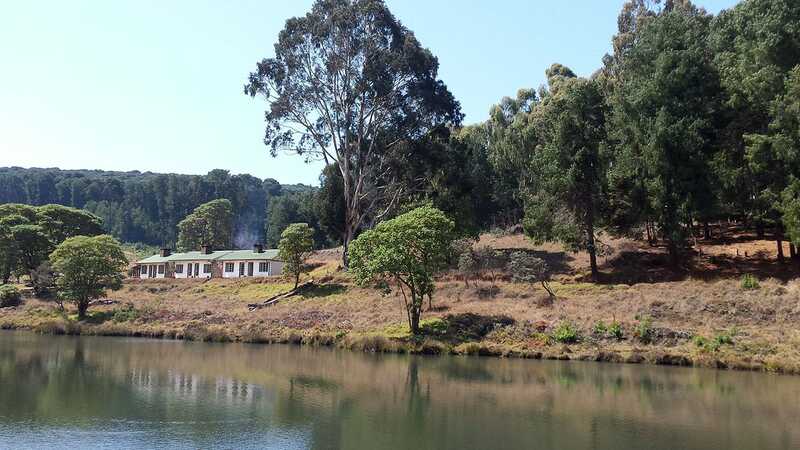 Cottages at Nyika Plateau National Park. Image credit: Mike Kendrick. Our car took a real hammering on the rough roads up to Nyika, with yet another puncture, and then the immobiliser stopped working. So we had an unexpected stopover in the service town of Mzuzu, with joy of joys, a Toyota garage! We spent a forgettable night in a non-descript motel, just us and Lionel Ritchie’s greatest hits in the deserted dining room. 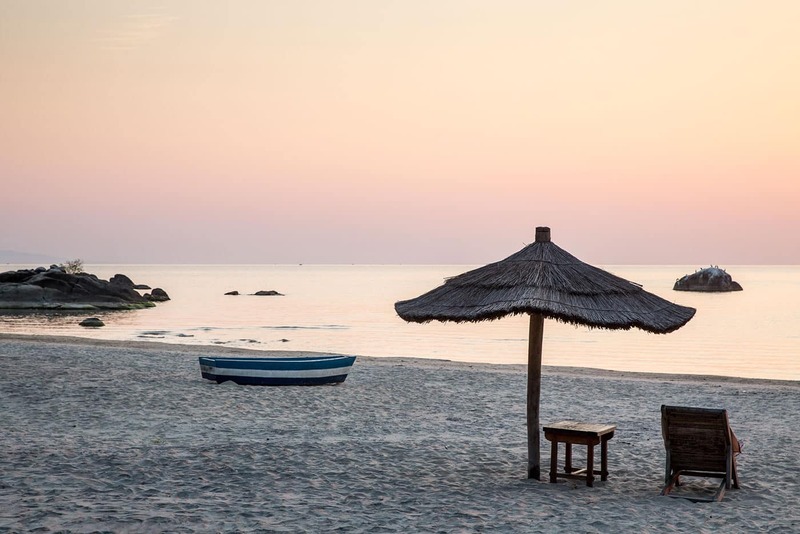 We hit Lake Malawi heaven at Makuzi Beach Lodge, halfway down the lake, and spent an idyllic and extremely relaxing three days camping here, not doing very much. Our only neighbours were an entertaining Swiss couple who were doing a similar six-month road trip. 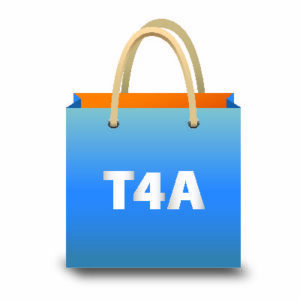 We compared T4A routes and border crossings over several Malawian beers. 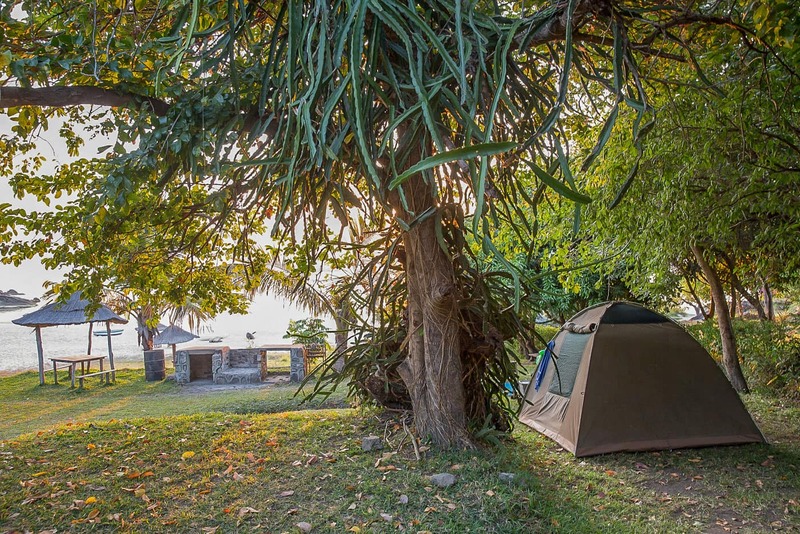 Camping heaven on the shores of Lake Malawi. Makuzi Beach Lodge. Image credit: Mike Kendrick. Our next lakeside stop was Cape Maclear and after more than four months in our tent, we treated ourselves to a room on the beach at Chembe Eagle’s Nest to celebrate our wedding anniversary. We spent a very chilled day, snorkelling amongst myriad multi-coloured cichlid fish and feeling very blessed. In addition to Nyika Plateau, we included two of Malawi’s national parks on our travels. 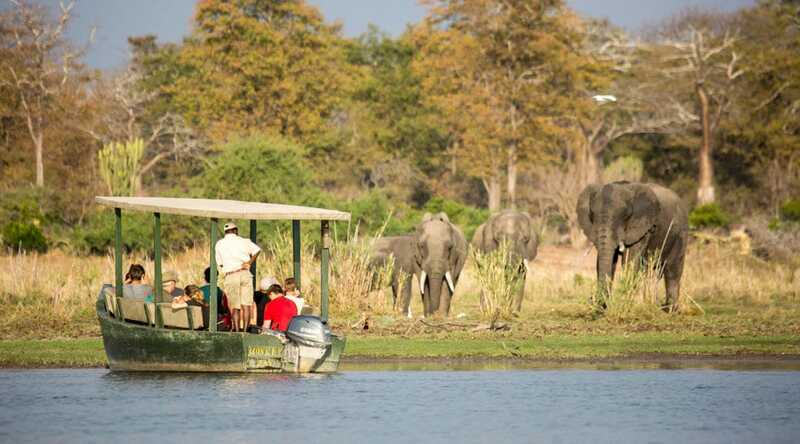 Nkhotakota Wildlife Reserve and Liwonde National Park, both recently taken over by African Parks. 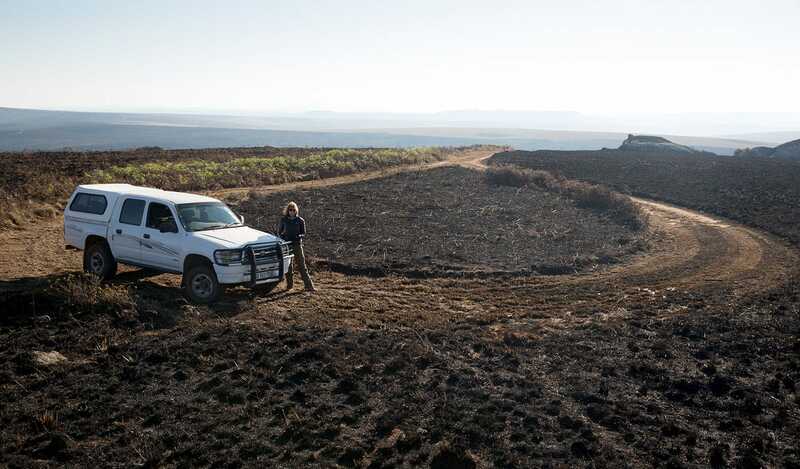 This inspirational South African NGO specialises in turning around Africa’s failing national parks. It is all well and good delineating and proclaiming national parks, but if there is not effective management, and poaching and human encroachment are not controlled, the parks are soon emptied and exist in name, and historical recollection, only. First stop was Nkhotakota Wildlife Reserve, just 30km west of the lake. The rugged, hilly terrain of Nkhotakota is bisected by a network of rivers weaving their way through the dense miombo forests. Although Malawi’s oldest park, and one of the country’s largest conservation areas, up until now it has been little developed and sees very few visitors. When we stayed we were the only visitors and spent our time walking with a guide, bird-watching and enjoying the solitude. It is a park of huge potential, now that African Parks have taken over its management. More than 500 elephants and 1,400 other game animals have recently been introduced from Liwonde National Park and Majete Wildlife Reserve. This historic translocation initiative aims to restore Nkhotakota so that it may become one of Malawi’s most important sanctuaries for wildlife. Our final destination on our Malawian meanderings was Liwonde National Park. 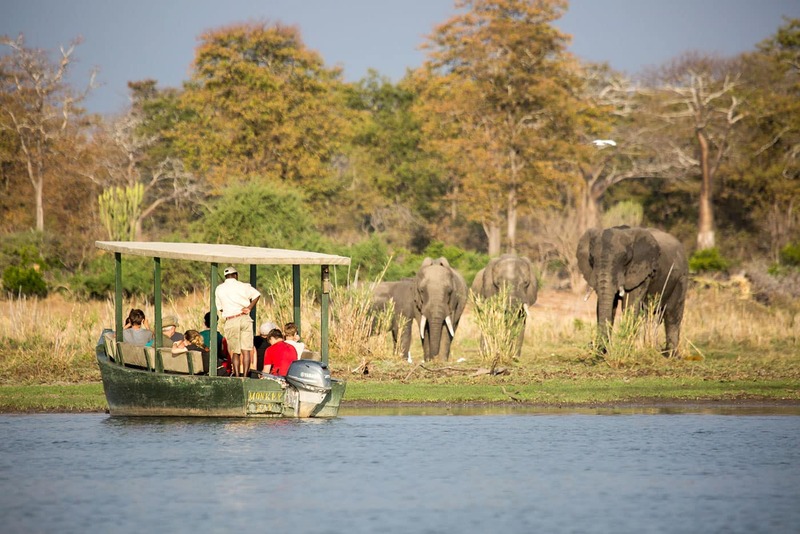 Liwonde feels the most African of Malawi’s national parks with its beautiful setting along the Shire River, grunting hippos and easy-to-see herds of elephants. Indeed, the elephants wandered through the campsite just as it got dark and the gardener came rushing over to warn me, “The elephants are in the swimming pool, mamma.” The grey giants had broken through the perimeter fence and were merrily chomping on trees around the pool. Liwonde is a birder’s paradise and we managed to see Pel’s fishing-owl, bat hawk and African skimmer on the same boat trip. Most predators have been hunted out but Liwonde still has a heavily protected population of black rhino. Boat trip on the Shire River, Liwonde National Park. Image credit: Mike Kendrick. Liwonde faces big conservation challenges, as it is a relatively small park surrounded by huge numbers of impoverished people. Thankfully African Parks are making a very positive impact, empowering the local communities, training rangers, preventing illegal fishing and removing snares. The future is looking bright for Malawi’s national parks. 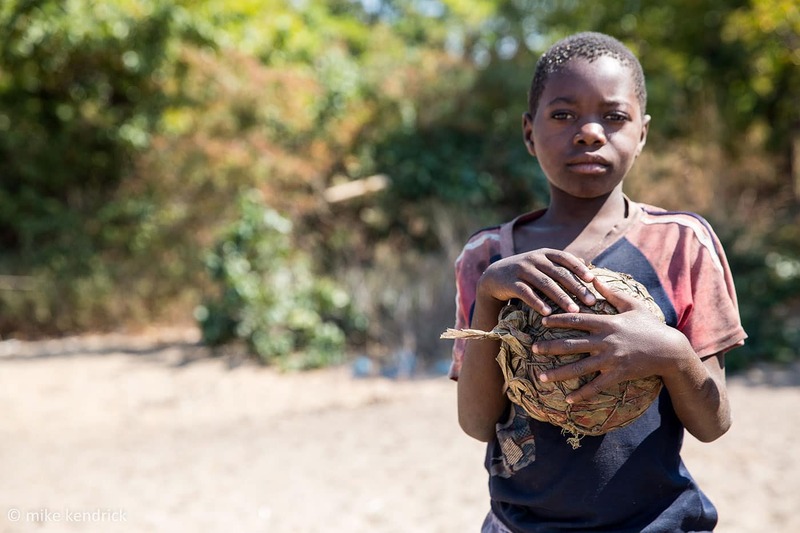 Although Malawi is one of Africa’s poorest and most densely populated countries, it really does have some of the friendliest people. One of our best experiences was joining a game of football on the beach with some young boys, their football made out of plastic bags. Malawi is justifiably called the “warm heart of Africa” and it was a great two-week road-tripping experience. There is so much more to Malawi than just its eponymous lake. Playing football on the beach. Image credit: Mike Kendrick. Before heading to Malawi, be sure to read our blog, “15 things you want to know before you travel Malawi”. It’s packed with tips and practical advice on everything from food and shops to transport. The second edition of the Mozambique & Malawi paper map shows locations of campsites, lodges and attractions. It also indicates distances and travel times between towns, so you can more easily plot your road trip. Sunset on the shores of Lake Malawi. Image credit: Mike Kendrick.